Lisa Hughes Long's Kitchen…and More! One year ago today, at approximately 6:00 p.m., Cupcake (aka, “Baby Cup”) entered this world. Wherever you are, I will always love you. Four weeks ago, my visiting neighborhood cat, “Cookie” (who is the image of Melania Trump), darted into the house, jumped into bed with my Mom as she was sleeping, and promptly delivered a baby kitten by her side. One. One exquisite little creature we call “Cupcake”. Cuteness overload. In the middle of a busy town, this tiny fawn sleeps on my back lawn most every night under the constant watch of her protective father. I call her “Flower” and am completely and totally in love. P.S. – It has been three months since the above post. Flower paid a visit a couple days ago and I noticed tiny antlers sprouting on “her” head. FYI – “Flower” is a guy. Flower or Betty Grable? …You decide. – splashing for a treat! You will most likely amaze yourself when tackling your next project simply by not rushing. We can achieve most anything, and usually quite well, when not placing time restraints on ourselves. 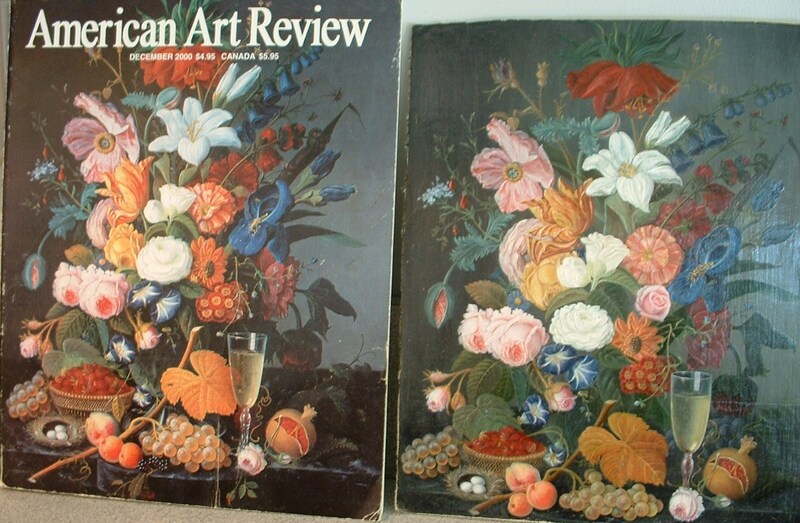 Wanting a turn-of-the-century still life, but not having the means to afford one, I slowly, (very slowly), copied a favorite oil-on-canvas work by artist Severin Roesen from the cover of American Art Review – painting the leaves and petals one-by-one each evening. At the end of six weeks, I was the owner of a beautiful, though not original, painting to enjoy. My first work ever. Allow yourself time to slow-down and do things in a comfortable time frame. You will be surprised at what you can accomplish! attempting to drink Chardonnay, and stealing the keys to my basement – all the while looking adorable. That fish would be named “Haddie”. How can you put a name on love? Who could ever be so bold?